Xanthosoma is a member of the arum family (Araceae), and is one of several similar-looking plants known as “elephant ears” (Alocasia and Colocasia being other examples, which, I’m obliged to mention, have species of Marmara that mine their leaves). 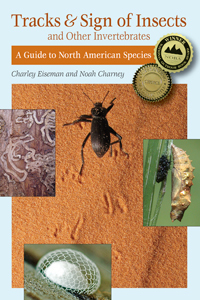 Thomas Eisner’s book For Love of Insects has great photos of a red milkweed beetle (Cerambycidae: Tetraopes tetrophthalmus) biting into the midrib of a milkweed leaf to stop the flow of sticky latex, then eating the portion of the leaf beyond this without any problem. This feeding sign is a very common sight in milkweed patches. It sure looks to me like my hypothesis was correct! I believe there is no foreign material here, just little beads of sap forming where the caterpillar made little nibbles in the leaf surface. When the caterpillar had made enough of these nibbles to bleed out the disc of leaf tissue within the ring, it then got to have a meal. Seems like it would be easier just to find a different host plant! As for what kind of moth this larva will turn into, I have no idea. Anyone else? This entry was posted in Unsolved Mysteries and tagged Apocynaceae, Araceae, Asclepias, Asclepias syriaca, beetle, caterpillar, Cerambycidae, Coleoptera, larva, Lepidoptera, Mexico, milkweed, moth, Tetraopes tetrophthalmus, Xanthosoma. Bookmark the permalink. Amazing. The bits look like tiny shells. Guess you need a video trained long time to solve the mystery but I love your photos and commentary. I came to the same conclusion before reading yours: the ‘grains of sand’ are really drops of fluid – obvious where one has a lot of concave parts – and as they dry up, they get smaller. Yes it does remind of milkweed sap walls that can be seen close to very young Danaus cats. Great story! Coincidence: I was reading Publication E-100 “Squash Beetles on Cucurbits” from Purdue University shortly after reading your post. 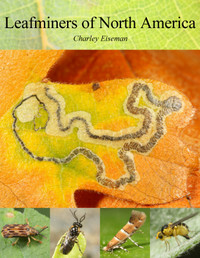 Figure 8 on Page 3 shows a circular trench snipped out by a squash beetle larva to isolate its feeding area. Interesting! I’ll add a link to that publication here. Very nice, very interesting, thank you; I don’t live near you folks, but I agree with your ideas on what it is about.